What does it mean to major in Chinese? We train students to be global professionals with superior levels of Chinese language skills. Chinese is spoken by over one billion people, nearly a quarter of the world’s population. Our students attain strong language competence in listening and reading comprehension, speaking, and writing skills as well as the cultural knowledge necessary for interacting with Chinese-speaking people in professional or informal contexts. Why is the University of Mississippi a good place to study Chinese? There are six Chinese faculty in Chinese in the Department of Modern Languages. In addition, there are six teaching assistants and domain mentors who provide one-on-one tutoring and help students acquire Chinese for their specific domains. The Chinese Flagship Language Program, sponsored by the National Security Education Program, is one of 12 federally funded critical language programs in the nation. It provides students with an opportunity to achieve an advanced level in speaking, comprehending, and writing Chinese. The program provides financial aid for on-campus intensive summer courses as well as summer study abroad in China. The Language Resource Center (LRC) provides online and electronic materials for the study of foreign languages. Chinese majors have a wide variety of outside-the-classroom opportunities for language learning. 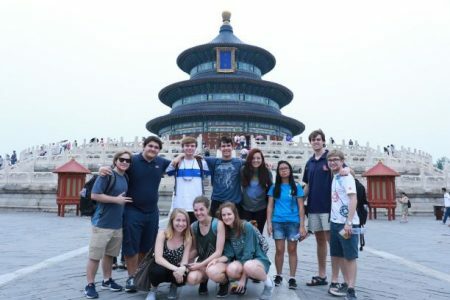 For the past 11 years, the Department of Modern Languages has offered a month-long summer Mississippi StarTalk program in Chinese for high school students, with full program scholarships available. Students come to UM campus during the month of July for intensive instruction in Chinese. To boost Chinese proficiency and provide valuable in-country experience, the Chinese Language Flagship Program has study abroad opportunities built into the curriculum and funded by the federal grant. Our university is the only Chinese Flagship program that operates summer program at Shanghai University after the freshman year. Then, all flagship students are expected to participate in the Capstone Year – a 5th year of study – in China where they spend the fall semester at Nanjing University to further refine their Chinese language skills while studying courses in their major field of interest. During the spring, internship opportunities are arranged matching students’ career interests. The Capstone Year is the springboard for students’ language proficiency and professional connections for their careers. 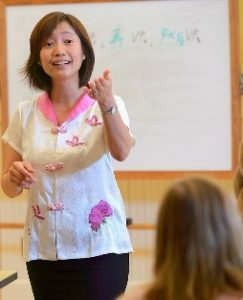 Dr. Henrietta Shu-Fen Yang, Associate Professor of Chinese and Co-Director of the Chinese Language Flagship Program, earned a Ph.D. in Linguistics from the University of Texas at Austin. Prior to joining UM in 2013, Dr. Yang was a faculty member and program director at Morehouse College, and a team leader for an Intensive Foreign Area Officer Program (FOA) at the Defense Language Institute in Monterey, California. Her research interests include Chinese language pedagogy, Chinese linguistics, the interface between instructional technology and language teaching, and formal syntactic theory. What can Chinese majors do after graduation? A liberal arts education empowers and prepares students to deal with complexity and change through a broad knowledge of the world. They gain key skills in communication, problem-solving, and working with a diverse group of people. People who fluently speak a foreign language have better job opportunities. Related careers to Chinese include education, international business & banking, tourism, journalism, law, translation, foreign service, cultural affairs, military service, and health care. Drawn to the Chinese Language Flagship Program, the Croft Institute of International Studies, and the Sally McDonnell Barksdale Honors College, Anthony found at UM a unique opportunity to pursue multiple intellectual passions. With the support of the Chinese Language Flagship Program, Anthony spent a year and a half in China honing his proficiency in Mandarin and developing an expertise in China’s political, economic, and social issues. He spent his capstone year taking graduate-level coursework in foreign policy and politics – taught completely in Chinese – at Nanjing University and interned with a Chinese intellectual property law firm in Shanghai. 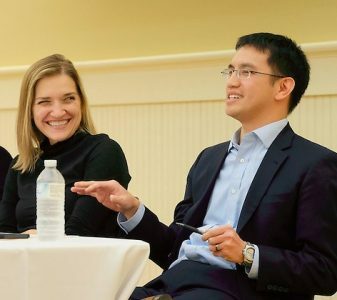 His experiences in China and his Mandarin proficiency not only helped differentiate Anthony as an applicant for both graduate studies and employment opportunities, but also formed the foundation for his career. After graduation, he moved to Thailand to study Thai, volunteer, and teach English. He later earned a MA in international affairs at Georgetown University’s School of Foreign Service. After an internship with the U.S. Department of Treasury’s East Asia Office and a year with the U.S. Department of State’s Bureau of East Asian and Pacific Affairs, Anthony joined PricewaterhouseCoopers’ (PwC) Washington, D.C.-based Global Intelligence, Anti-Corruption and Strategic Threat Management practice group. At PwC, Anthony led a China and East Asia-focused research and investigative team and helped establish similar teams throughout Asia. Drawing from his experiences consulting for global companies and government agencies, Anthony joined the Clinton Health Access Initiative’s malaria elimination financing team for Southern Africa in 2018. Why study Chinese at UM? Whom should I contact to learn more about majoring in Chinese?